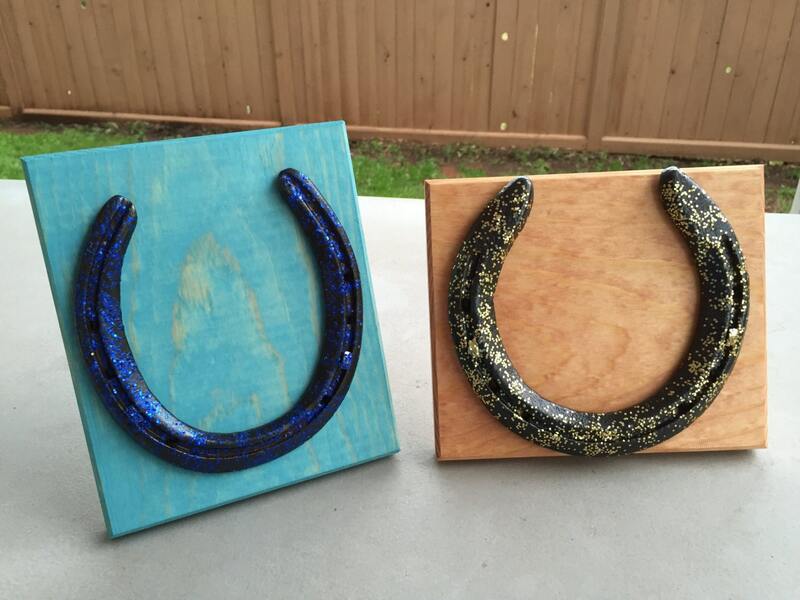 These frames have worn horseshoes that have come from a farrier in north central Oklahoma. You can tell they have been worn because the toes are worn down to an angle (they start out flat) and the steel is pitted from stones, etc. They were allowed to rust and then wire brushed using a bench grinder as well as by hand. This gives an interesting color and shine. The original nails that were still present were ground down to about 1/3" and used to secure the horseshoe to the scrap wood from the other signs we make. The edges of the wood are routed at an angle to look nice, and a dowel rod is included for tabletop or desktop display. 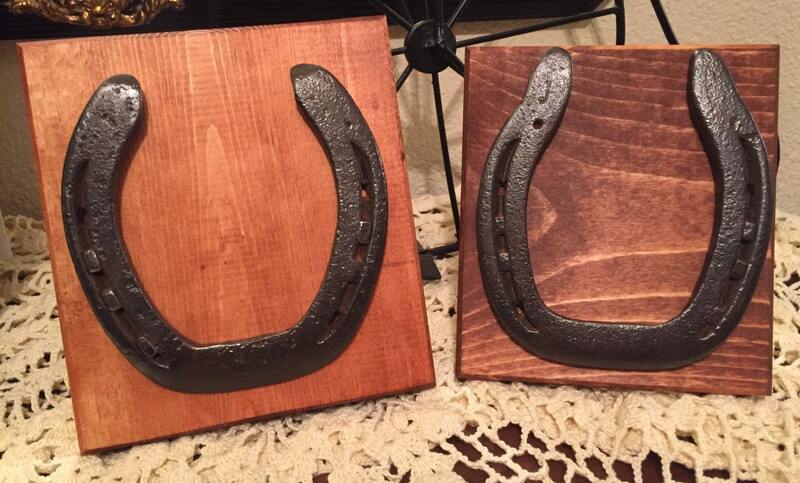 The horseshoe frame on the left has gunstock stain; the one on the right has walnut stain. 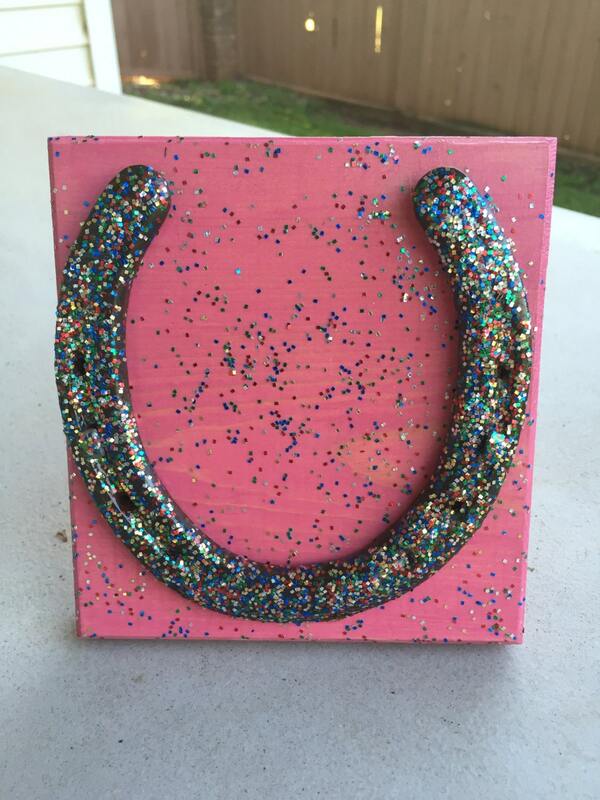 Horseshoes are shaped to fit an individual horse's hoof, which is often not round and usually not the same shape on each leg. So they are truly one of a kind. 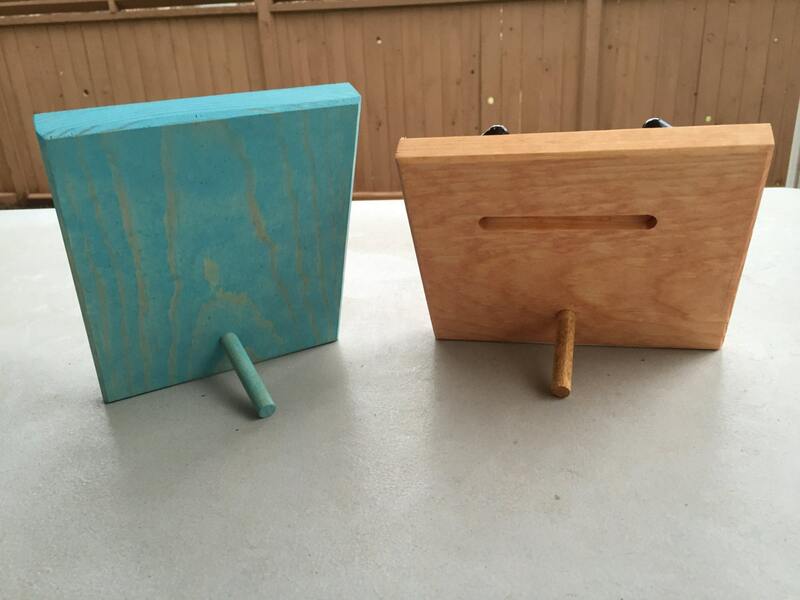 The frame on the left has a board 5.5" across and 6" high. The opening within the shoe is about 3" across by 4" high. 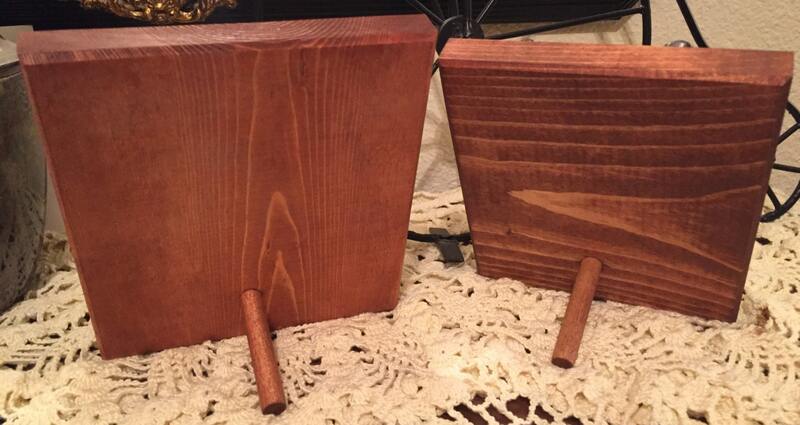 The frame on the right has a board about 5" across and 5.5" high. The opening within that shoe is about 3" across and about 4" high. The only thing "new" on these frames is the stain and dowel rod. Everything else is diverted from a scrap pile! We can also paint the shoes different colors, add beads or 'jewels', or use different stains. There are also draft horse shoes for bigger frames if you want those. Custom frames will cost more depending upon what you want done.